Duni's Studio: This is my new blog! I've finally decided to create another blog for all my creative endeavours. Some of you will have come across my other blog B*town Blues, where I used to post my creations....at this point I'd like to thank fellow bloggers who have left wonderful comments regarding my creations. Thank you so much. I'll try to update this blog as regularly as I can. 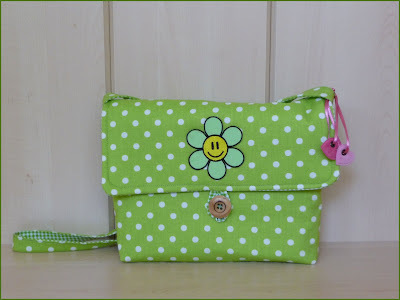 Obviously I will need some time to design a new bag pattern and actually sew it...so please be patient. In the meantime, here are some things I made a while back. see 'how to' for this apple pin cushion here. One more thing. I'm in the process of setting up a DaWanda Shop, so some of my creations are for sale! Thanks for dropping by and come back soon.